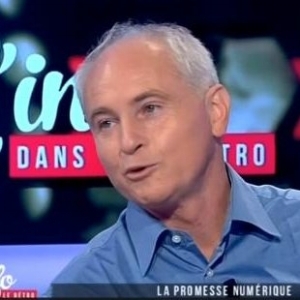 Jean-Michel Severino – President and Chief Executive Officer at Investisseurs & Partenaires. Mr. Severino serves as the Head of Research of the “Fondation pour les Études et Recherches sur le Développement International“(FERDI) since 2010. He held a variety of senior positions including Chief Executive Officer of Agence Française de Développement between 2001 and 2010 and in the past he served as a President of European Investment Bank. Pierre Mounier-Kuhn – CNRS researcher (National organization for scientific research) at the University of Paris-Sorbonne, specialized in the history of computer science and Banking IT technologies. Pierre is an associate researcher at the Centre Alexandre Koyré. 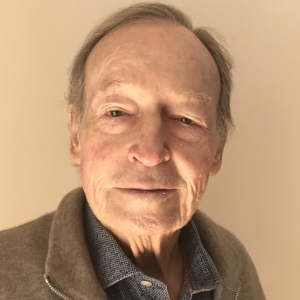 Pierre Mounier has published 60 papers and three books: his recent work (with Emmanuel Lazard) Histoire illustrée de l’informatique, Paris, EDP Sciences, 2016. Sylvain Rouri – Head of Sales at OVH. OVH is an innovative, hyper-scale cloud provider dedicated to delivering best-in-class technical expertise and cost-effective solutions to companies worldwide. From tech-focused entrepreneurial ventures to small and medium businesses to global enterprises, companies of all sizes trust groundbreaking solutions to drive their growth. Hervé Manceron – Co-founder and COO of TagPay. Hervé is a specialist in telecom technology and electronic transactions. Throughout his career, Hervé has successfully developed startups, with VOX and WellX. He is a graduate of ENSIMAG (Computer Science and Applied Mathematics) in Grenoble. Alexandre Meyer – Partner at Weave. In 2005 Alexander led to the launch of a portfolio of solutions for the Banking & Insurance sector. Today Weave is a French company which provides operational strategy consulting services. It offers design thinking, digital business, marketing and sales, and organizational transformation and performance. Charles Ozanne – TagPay’s CTO. Charles is an engineer and expert in IT technologies and telecom. He drives the team in charge of product development, product implementation, and training. He manages the TagPay roadmap. Charles is a graduate of ENSERG (Computer Science and Electronics) in Grenoble. Alexandre Maymat – Head of the Africa/Asia/Mediterranean Basin & Overseas region, International Banking and Financial Services, Société Générale. Société Générale is one of the top 3 international banks in Africa. The bank is present in 18 countries, with nearly 1,000 branches, 11,000 employees, and over 3.3 million clients including 150,000 African companies. Arnaud Vincent – CEO and founder of AVIOMEX (R&D in behavioral assessment and predictive algorithms) and Road-b-Score (Predictive scoring) based in Lyon, France. He is an expert in machine learning, data science and marketing of innovation. Arnaud Vincent accomplished PHD in Quantitative Finance at MINES ParisTech. 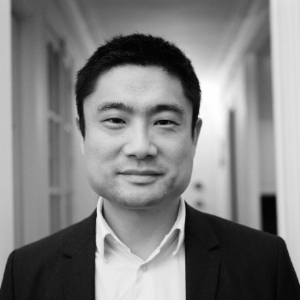 Christian Lim – Investment Director at AfricInvest, with a focus on the financial sector, innovation and startups. He structured numerous investments in banks, insurance companies and fintech, and serves at the board of several African financial institutions. Christian holds an engineering degree from Ecole Nationale des Mines de Paris and an MBA from INSEAD. João Abiul Menano – CEO at JAMES. The company is focused on artificial Intelligence in credit risk, machine learning modelling for consumer and business credit. João is a researcher in credit risk, statistics and econometrics. He has an experience in analytic driven marketing and enterprise sales. João Menano holds a master’s degree in Strategy from Nova School of Business and Economics. Pierre Noizat – CEO of Paymium, a start up he co-founded in 2011 as one of the world’s first Bitcoin exchange and Bitcoin payment solution provider. Pierre-Antoine Balu – Partner, PricewaterhouseCoopers France. Pierre-Antoine Balu is a management consultant specialized in strategy and business transformation for the Financial Services Industry. Pierre-Antoine focuses on emerging markets (Africa, South East Asia, India...) and is a leading voice for consultancy in Financial Services in the Maghreb and Francophone Africa. Jean Luc Konan – CEO at COFINA Groupe. In 2013, Jean founded the COFINA Group, a pan-African microfinance institution specializing in SME financing. He is also Vice President of MJE Capital, a financial engineering firm based in Dubai, and Chairman of the CAPDEV network, promoting the growth of mesofinance on the African continent. Matthieu Vacarie – General Director at YUP (Société Générale Group). YUP is a mobile money solution for accessing a full range of transactional and financial services even without a bank account. YUP is accessible via an expanded network of distributors equipped with adapted terminals and, of course, via the mobile banking app of Société Générale's different banks throughout Africa. Diakarya Ouattara – General Managing Director at Coris Bank International Burkina Faso. Mr Ouattara is the Director of one of the major banks in WAEMU zone. Before getting to the top management level at Coris Bank International, Mr. Ouattara has held various leading positions within financial institutions including BICIA-B (BNP-Paris branch) in Burkina Faso. He graduated from Lyon 3 University (France) in International Management with honors. 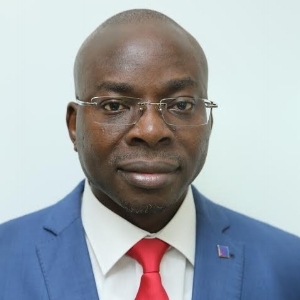 Yannick Mbiya Ngandu – Regional Director at Trust Merchant Bank. Yannick Mbiya has been extensively involved with the growth of Trust Merchant Bank, a leading commercial bank based in the DR Congo. 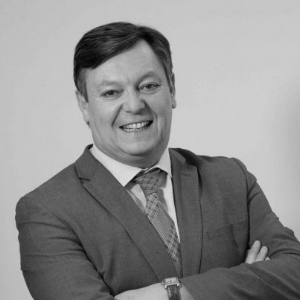 Yannick is currently on the Management Committee and the Board of Directors as well as taking responsibility for the development of the entire branch network of the Bank. Christopher de Beck – Consultant at Banco Postal. Christopher de Beck currently works as a consultant for the foundation of Banco Postale in Angola. Christopher has held C-level executive positions for international banks in Portugal, which led him to oversee the banks’ activities in Poland, Romania, Greece, Turkey, Mozambique, Senegal and Angola. Christopher holds an MBA from INSEAD. 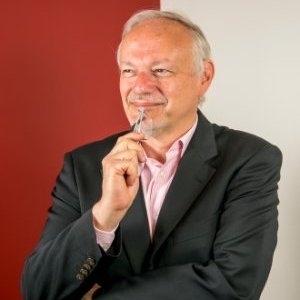 Jean-Yves Rossi – is a CEO and Founder at CANTON-Consulting. compliance and the architecture of value added payment services. 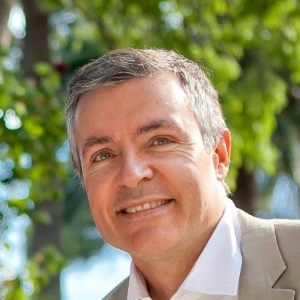 Mauricio Osorio – Director General at Crezcamos. Crezcamos is a leading Colombian microfinance institution (MFI) with an extensive rural footprint, offering financial services and insurance to unbanked farmers and merchants, thereby enabling them to increase their productivity and protect their livelihoods. 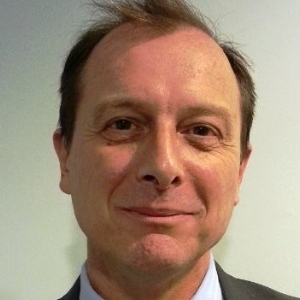 Christophe Vergne – Cards and Payment practice leader at Capgemini Global Financial Services. Capgemini is a leader in payments transformation in France, with visible track record. The company is close to 100 payment architects, consultants, business analysts and developers understanding client environments and design solutions leveraging assets, partners, capabilities from the global practice. 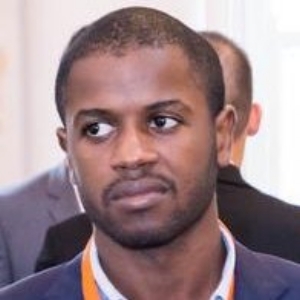 Bubacar Diallo – Founder & CEO at Benoo. After 9 years cumulated experience in Trade Finance in two major banks, delivering innovative customer solutions, Bubakar started a new business promoting renewable energies, providing social impact and economic development particularly in West Africa. Benoo Energies specialises in supporting access to energy projects through Solar Home Systems and solar mini-grids. Kim Fredrik Schneider – CEO at Abi Global Health. Kim has spent the past decade contributing to the development of online as the dominant data collection method in Europe, most recently as Joint Managing Director of Survey Sampling UK (SSI). Kim obtained a degree in Business Administration and Media Studies from the inter-disciplinary University Professors Program at Boston University. Edem Adjamagbo – CEO & Founder at SemoaGroup. Edem is an engineer in Business Intelligence and an advisor to startups and SMEs since 2012 on their digital projects. In 2013 he created the first web platform dedicated to airtime refund in Togo. The goal is to provide payment facilities for e-merchants, bringing alternative and innovative solutions to the people who need to order online without a credit card. Sanziana Gheorghiu – Sales Manager Africa at STRANDS. Strands is the FinTech partner for banks, having delivered more than 600 bank implementations for over 100 million customers in 36 countries to date. Strands’ solutions empower people to better manage their financial life and make more-informed, more intelligent consumer decisions. Pierre Gancel – Founder at weebi. Senegalese startup Weebi, operates a digital solution helping shopkeepers with bookkeeping, has expanded to Burkina Faso, Guinea, Gabon, Angola and Ethiopia since launching last October. Prior to founding weebi Pierre Gancel worked two years as Consultant for Dalberg and as a business developer for three start-ups based in Dakar Senegal. Diana Brondel - CEO and Founder at Xaalys. Diana has been working for more than 10 years for Société Générale Group. At Xaalys, Diana designs the tools she would like to have at her disposal to educate her own children financially in order to handle and value money. Diana graduated from ESCP Europe, after studying in Germany, France and the United States. John Chaplin – Payments & FinTech Adviser, Helios Investment Partners. John brings unrivalled thought leadership on the future of card payments, card schemes and networks and a wealth of respected executive relationships developed over the past 20 years and updated perspectives of regulatory issues. John contributes to the development of the advisory business, serves on the board of several companies including InterSwitch, the largest switch in Africa. Olivier de Guerre - President at Phitrust. Olivier has a large experience in Asset Management whether in assisting Wealthy families/Foundations and large institutions in their asset allocation. Olivier created in 2003 PhiTrust Active Investors. He is also the chairman of PhiTrust Partenaires created in 2005. Olivier de Guerre is also a board member of PhiTrust Endowment Fund. Laureen Kouassi-Olsson – Head of Amethis’ West Africa office, Financial Institutions Head and Investment Director at Amethis. Laureen also oversees Amethis West Africa, Amethis’ investment vehicle dedicated to Francophone Western and Central Africa. She also serves as board member for Ciel Finance (Mauritius), PetroIvoire (Côte d’Ivoire) and Amethis West Africa and is an alternate Director at the Board of Fidelity (Ghana). Edmund Higenbottam – Managing Director at Verdant Capital. Ben Marrel – Founding Partner at Breega Capital. 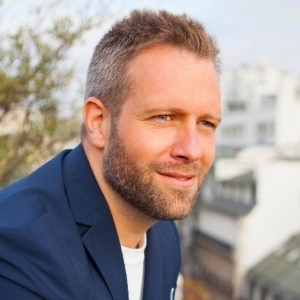 After spending 10 years in the Tech / M&A world advising CEOs and entrepreneurs on strategy/financing and having launched ventures, Ben co-founded Breega, a VC fund (150M Eur) investing in highly promising technology start-ups in Europe at Seed/Series A stage. Ben Marrel is a Telecom engineer and a graduate from ESSEC.